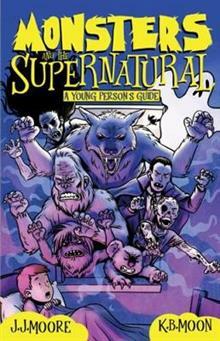 Monsters and the Supernatural: A Young Person's Guide will take you on a journey into remote corners of the globe and deep into man's belief of the supernatural. We'll look at different monsters and spirits, ghouls and critters, back through the ages. They can't be inventions bec... read full description below. Monsters and the Supernatural: A Young Person's Guide will take you on a journey into remote corners of the globe and deep into man's belief of the supernatural. We'll look at different monsters and spirits, ghouls and critters, back through the ages. They can't be inventions because our imaginations aren't that rich. Writer Jonathan Moore was born in 1964 and attended Melbourne University where he obtained a Bachelor's Degree, with majors in History and English. In a career involving twenty years as a history teacher as well as running several successful businesses, Jonathan has been a voracious reader of all periods of History. In pursuit of his studies Jonathan has travelled extensively and enjoys war gaming and military re-enacting. He also enjoys True Crime and has written several books on the subject. Kate Moon is responsible for a wide body of work that includes character design for Sony's SpongeBob: Sponge Out of Water, Ghostbusters: 2016 and as a matte painter for the Emmy award winning Game of Thrones episode Battle of the Bastards. Her work is accessible to school-age children, humorous in tone and unique in style.